The Rev. William Webb’s first realization that American society had different things in store for white men than it did for black men came when he was in high school in New York, where he was born in 1916. “My cousin and I were sitting around the kitchen table talking about what we wanted to be when we got out of high school,” Webb told The Ridgefield Press in 1972. “My cousin said that he wanted to be a rural postman. I said I wanted to be an accountant. That incident led him to become more aware of the condition of African-Americans around him. Frustrated at the inequities in society, he decided to end his education after graduating from high school, and look for a job. It was 1934, the height of the Depression, and jobs weren’t easy to find. 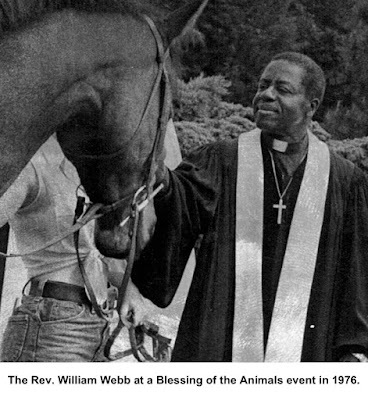 Webb wound up working on a poultry farm in Ridgefield, a black man in a community that has always been almost solely white. There were cases of blacks’ answering ads for rents, showing up and being told the place was already rented when it wasn’t. “It is these kinds of barriers and handicaps that can become crippling over a period of years, not to mention disheartening,” Webb said. In 1951 those barriers and attitudes sparked Webb and a group of Ridgefielders, both black and white, to found the Ridgefield Branch of the National Association for the Advancement of Colored People (NAACP), an organization that remained active for many years — with Webb often serving as president. One of the NAACP’s first efforts was to seek an end to local minstrel shows in which whites comically portrayed blacks. Advertising posters for the events, done by local school children, were very offensive to the black community. “They depicted blacks with all the exaggerated and stereotypical black features,” Webb said. Over the years the NAACP and Webb quietly handled cases of discrimination and abuse provoked by race. One of the saddest cases he cited involved a black man who was indirectly accused of making immoral advances to a white girl at a popular village store called Bongo’s. The charge was not made by the girl, but by a racist-minded employee of the store who saw the two laughing and conversing, Webb said. The employee filed a complaint with the police who arrested and fingerprinted the man. Later the black man was subjected to cursing and intimidation as he’d walked to work — all for a fictitious crime, Webb said. 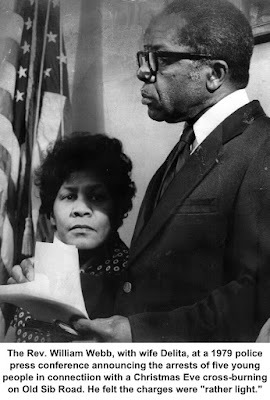 Webb eventually became active in the state NAACP and served for a while as its president. 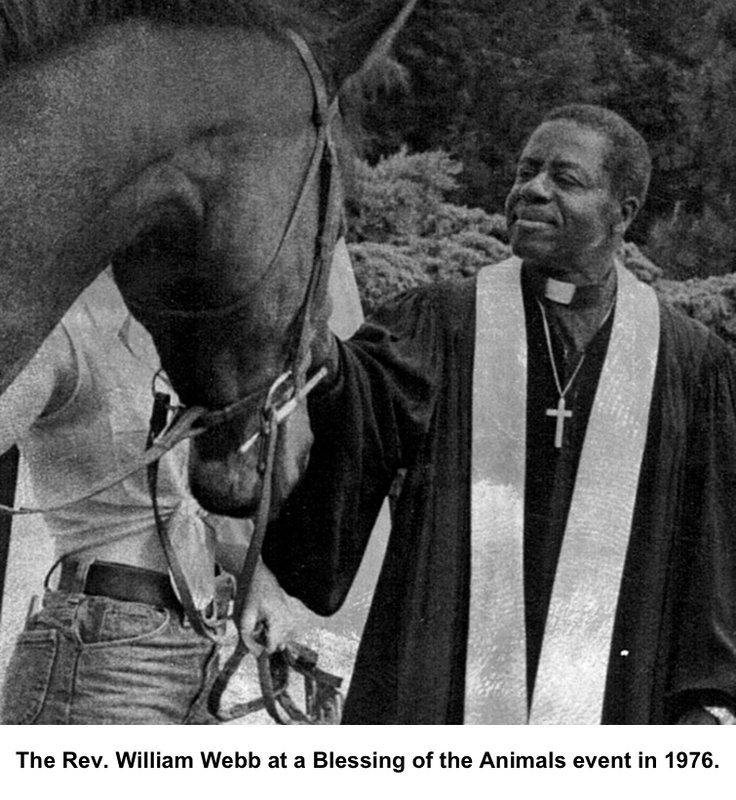 In 1969, he was ordained a minister, and over the years served African Methodist Episcopal congregations in Danbury, Waterbury, Bridgeport, Norwalk, and Branford, all while still living on Knollwood Road. In Ridgefield he was also active in leading efforts to bring affordable housing to town; he often spoke at meetings to promote the need for lower-cost apartments. He served in the Ridgefield Clergy Association and on the board of directors of Danbury Hospital. A World War II veteran, he belonged to the American Legion and VFW posts. What’s more, according to the testimony of people who knew him, Webb may have been one of the finest barbecue chefs in Ridgefield in the 20th Century. He died in 1991 at the age of 75.